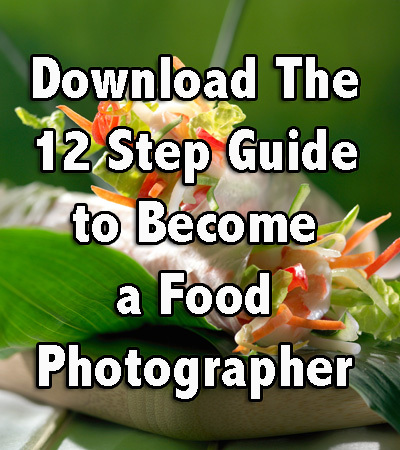 Sign up below for the mailing list and receive the “12-Step Guide To Become a Professional Food Photographer”. Besides the 12-step guide, you’ll receive a weekly newsletter, listing all the content produced by the Michael Ray’s Advanced Food Photography Blog. You won’t be spammed. Your name won’t be sold. You’ll just get great Advanced Food Photography content, emailed to you once a week. And if you don’t like it, you can opt out at any time. There’s no cost and no risk, so sign up and get your free 12-Step Guide To Become a Professional Food Photographer.